Here at Monnit, we are proud of our relationship with our customers. These relationships enable us to improve our products and offerings to meet your needs. Recent suggestions have led to Monnit's new Repeater / Range Extender. Monnit Repeaters allow you to extend the coverage area of your wireless sensor network by repeating the signals between your wireless sensors and the wireless gateway. 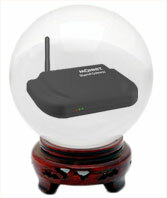 If we look carefully into our crystal ball we can see a new wireless gateway on the horizon. The MonnitLink™ Ethernet gateway allows your Monnit Wireless Sensors to communicate with the MonnitSphere™ Online Monitoring and Notification System without the need for a PC. Simply plug this device into any open network port with internet connection and your sensors are automatically connected with the online monitoring system. Using Temperature Sensors to Prevent Frozen Pipes and Water Sensors to Detect Broken Ones. 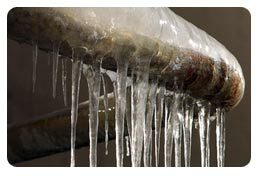 So, how do you ensure that your pipes don't reach freezing temperature and know if there has been a break? We recommend using Monnit's affordable wireless temperature sensors and wireless water sensors to monitor the temperatures around your water pipes and know immediately if there is a broken pipe leaking. There are no wires to worry about, and the setup process is amazingly simple. Floors, walls and metal structures such as heating ducts and file cabinets, interfere with your sensor network's wireless signals. By avoiding these structural "Signal Killers" when placing your wireless gateway and sensors, you can ensure optimal performance of your network. Repeaters allow you to extend the coverage area of your wireless sensor network by repeating the signals between your wireless sensors and the wireless gateway. Place a Monnit Wireless Repeater / Range Extender halfway between your wireless sensors and the wireless gateway, and you will get an immediate boost in your wireless signal strength. The repeater will also act as a central access point for all of the sensors that are within it's range. If you have cordless phones or other wireless electronics in your facility or home, your gateway might not be able to "hear" your sensors over the noise from the other wireless devices. 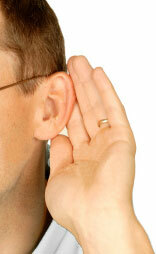 To quiet the noise, avoid wireless electronics that use the 900MHz frequency. Instead, look for cordless phones that use the 5.8GHz or 2.4GHz frequencies. All trademarks are property of Monnit. 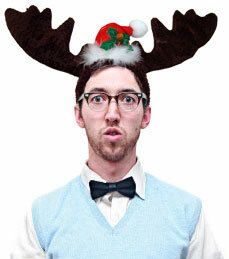 © 2010 Monnit Corp. All Rights Reserved.